Holiday greetings make powerful personal connections with customers that build business like no other medium. 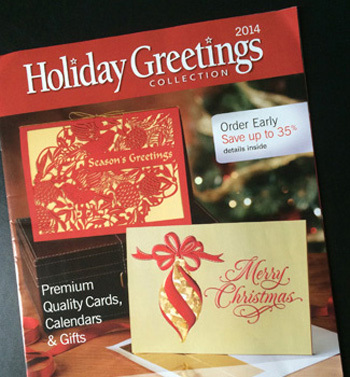 The Holiday Greetings catalog offers you exquisite cards and tasteful gifts for every style and budget. Each card is beautifully designed and produced with high-quality paper and printing that says you deeply appreciate their business—plus you get FREE personalization options such as foil printing, custom logos, choice of verse, and more. Make the holidays extra special for your customers and your business.